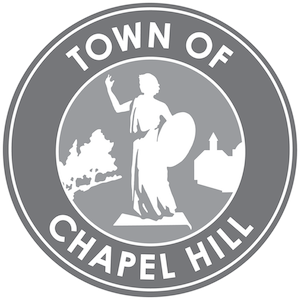 The Friends of Chapel Hill Public Library welcome in authors and literary figures on a regular basis to read from their works, speak with members of the audience, and share refreshments. Usually on the third Thursday of the month and always in Meeting Room B.
Refreshments start at 3:30 and programs begin at 4:00 pm. - Talia Sherer is the Director of Library Marketing for Macmillan Publishing. She coordinates the library marketing activities of all Macmillan’s adult publishers, including St. Martin’s Press, Henry Holt, Tor/Forge, Minotaur, Picador, Farrar, Straus & Giroux, and Flatiron Books. - Bland Simpson, Kenan Distinguished Professor of English and Creative Writing at UNC, is a man of many talents with a long and prolific career. He has a number of books to his credit often focused on the beauty of the North Carolina coastal plain and enhanced by the beautiful photographs taken by Ann Cary Simpson. The Simpsons will share from their most recent book, Little Rivers and Waterway Tales, published by the UNC Press. - Well known as the long time host of UNC-TV’s North Carolina Book Watch and WCHL’s Who’s Talking?, D.G. Martin is also the author of a new book titled North Carolina's Roadside Eateries that catalogs 100 notable places that serve good food and are fixtures in their communities. - Petroski's books detail the fascinating story of how everyday things work and why they sometimes fail. His most recent book, The Road Taken tells the story of our nation’s deteriorating infrastructure - its roads, bridges, water systems and public transit. - As a professor of history at UNC and author of ten published books, William Ferris is well known as a folklorist and scholar. His newest book, The South in Color: A Visual Journal, uses decades of photography to reveal the details of life in the South. - Meet the bestselling author of The Good Goodbye, The Deepest Secret, Invisible, and The Things That Keep Us Here, which was nominated for a Thriller Award as a best first novel and the Ohioana Book Award for fiction. - In time for President's Day, Warren Bingham, a writer, speaker and broadcaster with a deep interest in Southern history and lore, will read from his new book, George Washington’s 1791 Southern Tour. The book, part history and part guide, explores why President George Washington, in his third year of serving as the highest elected official of a new country, decided to undertake a tour of the Southern states, mainly Virginia, the Carolinas, and Georgia. - The former senior writer at Sports Illustrated and the author of The Man Watching, the biography of UNC head soccer coach Anson Dorrance, and co-author of Hard Work, the autobiography of UNC basketball coach Roy Williams, reads from his newest book, The Queen of Katwe, One Girl’s Triumphant Path to Becoming a Chess Champion. Art Chansky is a well-known sports columnist and commentator who has written seven books on the history of UNC Basketball and Dean Smith, including March to the Top, The Dean’s List , Dean’s Domain, Blue Blood, Light Blue Reign, and The Blue Divide. He will read from his newest book Game Changers: Dean Smith, Charlie Scott, and the Era That Transformed a Southern College Town. - Bronwen Dickey is a contributing editor at The Oxford American and the author of Pit Bull: The Battle over an American Icon. The book shows a deep knowledge of the history and the misinformation surrounding the pit bull breed. - Pushcart Prize nominee Danny Johnson is a Vietnam Veteran and recipient of the USAF Distinguished Flying Cross. His debut novel The Last Road Home has been called powerful and lyrical. The novel explores race relations between a white orphaned farm boy and a sharecropper’s daughter. It’s set in the late 50s and early 60s and moves back and forth among Chatham County, the city of Durham and the jungles of Vietnam. - Twitter and Tear Gas; The Power and Fragility of Networked Protest, examines political movements and how governments have responded to the rise of digital tools with their own methods. - John Francis Trump is managing editor of Carolina Journal. For more than 30 years, he has worked as a reporter and editor for newspapers — in Las Vegas, Alabama and North Carolina. Still & Barrel: Craft Spirits in the Old North StateStill & Barrel, which features photographs taken by his wife Lisa, recounts the history of manufacturing whiskey, gin, vodka, and rum in North Carolina. - Lovett's latest novel, The Lost Book of the Grail is a mystery, a history, a love story which has been called a pure pleasure for book lovers. Set in an English cathedral library, and reaching through centuries of English history, it tells the story of bibliophile and Holy Grail enthusiast Arthur Prescott as he works to uncover a centuries-old secret. - Eno Publishers will be represented by Elizabeth Woodman, Laura Lacy, Callie Connor and Stewart Dunaway. Located in Hillsborough, Eno is a nonprofit organization dedicated to producing high-quality books about the culture and history of the Carolinas and the South. They will be talking about their newest book, Hidden Hillsborough; Historic Dependencies and Landscapes in a Small Southern Town. The book began as a project of the Preservation Fund of Hillsborough. It includes remarkable photographs by Elizabeth Matheson and maps by Stewart Dunaway, a researcher in North Carolina colonial and Revolutionary War history who photographs and transcribes original records from the State Archives and publishes them in book form. He has published 203 titles. Eno Publishers may be most familiar to Chapel Hill for the book 27 Views of Chapel Hill. A Southern University Town in Prose & Poetry. This is one of a series which includes Wilmington, Greensboro, Charlotte, Raleigh, Durham, Asheville and Hillsborough. The Chapel Hill book has an introduction by Daniel Wallace, who also did the cover art. Eno Publishers has also produced three books about Elizabeth Hobbs Keckley, a former slave who became a successful seamstress, civil activist and author in Washington DC at the time of the civil war. She was dressmaker, friend and confidant of Mary Todd Lincoln. Keckley is quoted many times in the recent book, Lincoln in the Bardo by George Saunders. Eno has also published books on rain gardening, trout fishing and Carolina cooking. - **Please note that the time of this program is later than our usual Meet the Author Teas** Our Friend Mona - The remarkable Life of a Young Martyr provides insight into the Bahá’í Faith and the campaign of persecution of this religion in Iran. Following the 1979 Islamic Revolution, Bahá’í leaders and whole families were arrested. Mona’s father was executed; she and her mother were imprisoned. On June 18, 1983, ten women were executed after failing to recant their faith. Mona was the youngest at 16. News media around the world reported the ill-treatment, confiscation of property and executions. Many governments including our own condemned Iran’s behavior. The United Nations made a resolution in support of the Bahá’í. The authors of Our Friend Mona are a husband and wife who live in Chapel Hill and work at UNC. Azadeh Rohanian Perry is the Business Services Coordinator in the UNC School of Dentistry in the Pediatric Department. Her husband, Mark Perry, is a playwright who teaches in UNC’s Department of Dramatic Art. - In Smith's very first work of nonfiction, DIMESTORE: A WRITER'S LIFE, the preeminent voice of Southern writing from Hillsborough looks inward to tell her own heartwarming story, from growing up in the small coal-mining town of Grundy, Virginia to becoming a writer and raising her own family in North Carolina. - Writing under the name of Ellery Adams, Stanley will delve into her book The Secret, Book & Scone Society. The book is set in a fictional small town in North Carolina called Miracle Springs and features a bakery, a spa, and a book store whose owner Nora Pennington has a special talent of prescribing the perfect novel to ease the life of a person feeling worn down with life. Nora forms a society with four other women – damaged souls who seek to earn redemption by helping others. With a hint of romance and some cliff-hanging adventures, their collaborative detective work solves a murder and exposes a massive real estate fraud. Now a New York Times bestselling author Ellery Adams aka Jennifer Stanley grew up on a beach near the Long Island Sound. Having spent her adult life in a series of landlocked towns, she cherishes her memories of open water, violent storms, and the smell of the sea. In addition to her writing, Jennifer bakes, gardens, takes care of three “keyboard-hogging” cats plus her husband and two children, affectionately called “the Trolls.” She says she loves coffee, champagne, kickboxing, 1000-piece jigsaw puzzles, Pinterest, and black jelly beans. All these interests and activities make their way into the pages of her books. And, because the author specializes in the mystery genre, we will have a mystery activity!